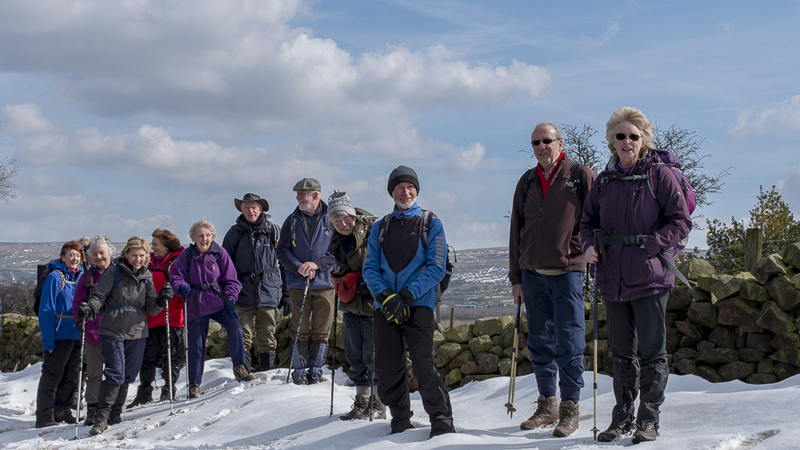 Regular readers of these walk reports are probably wondering if our enthusiastic members have continued to prepare for the walk with the warm-up exercises we tried in February. You will be pleased to see that we have continued the practice with some low-intensity moves as shown below. 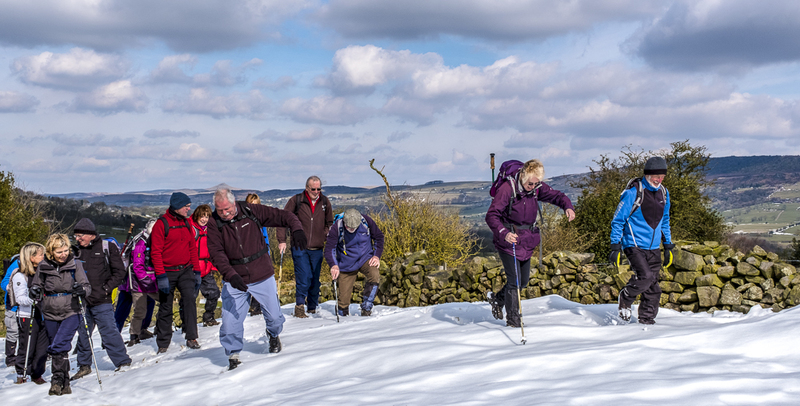 On the traditional first day of spring we were shocked to find great drifts of snow by the side of the lanes leading to Tittesworth. This demonstrates the effect of moving a couple of hundred feet up from the balmy Cheshire plain to the wilds of the Staffordshire Moorlands. The reservoir holds back the waters of the river Churnet and other streams and allows Severn Trent Water to pump an average of 28 million litres a day to customers in Staffordshire. The arrival of our collection of old folk looking for the toilets prompted the emergence of a Severn Trent ranger to control the situation. When he realised that we meant no harm, he warmed to us and tried to persuade the site cat to carry out a few commands for our entertainment. As you might expect, the cat showed no interest in performing and wandered off disdainfully. The ranger was proud to show that reservoir was 99.3% full and when all the surrounding snowdrifts have melted the level will be lapping at the overflow drain. 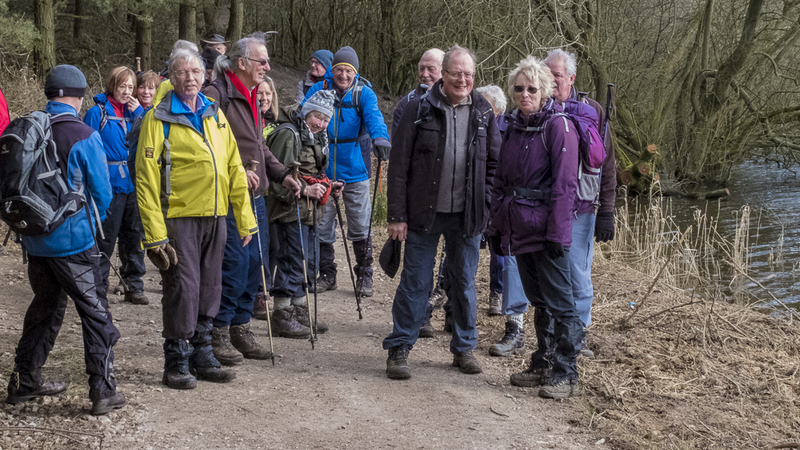 The walk took us round the reservoir but not just the 7km path close to the shore; we ventured south to Leek so that Ralph could tell us about the Cistercian abbey that was founded on the banks of the river Churnet. Ranulph had a dream in which his grandfather warned him to move the abbey and told him the date and place of the move. The story goes that the Earl laid the foundation stone and said “Dieu l’encres”, meaning “May God prosper it”. As a result the abbey became known as Dieulacres because the locals couldn’t pronounce it any better than our Ralph when he told us about it. The historical records tell of numerous legal actions involving the monks in acts of violence and even murder and this freewheeling attitude to legality continued up to the Dissolution of the Monasteries under Henry VIII. The abbot, realising what was about to happen to the abbey’s lands, leased some of it to his family and friends before it was assessed. We passed the Abbey Inn on the way to Leek before we climbed through a nature reserve into Brough Park. An interesting feature of this route was the use of old building materials to fence off the footpath. A succession of doors, chipboard panels and other scraps gave a very down-market appearance to the rear entrance to the park, where we stopped for lunch on the benches and other seating. 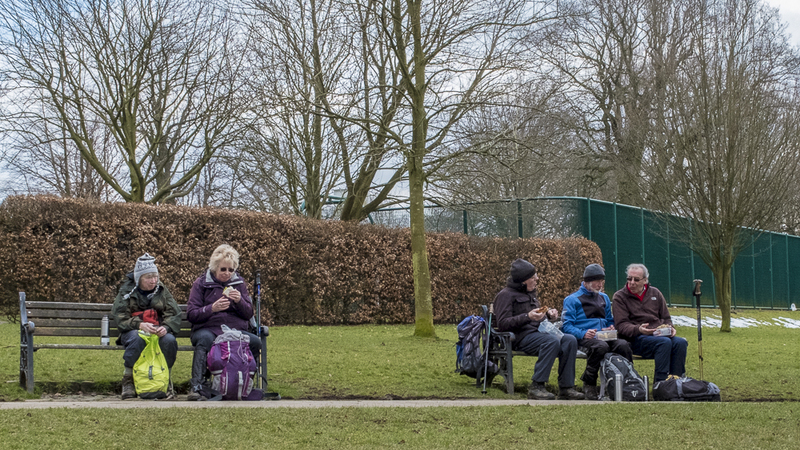 Brough Park is in the district of Ball Haye Green through which we walked after taking advantage of the leisure centre toilets. There was a hope that we might see a delightful cake shop as we trod the pavements of Leek, but the fish & chip shop we did pass was an unsatisfactory substitute. After leaving the Leek suburbs we passed a sewage pumping station near the reservoir dam wall. Recent walks haven’t included a sewage treatment works and the one that services the people of Leek is too far away to include in this walk. What a shame. The final stretch of the route took us round the edge of the water where we saw occasional examples of hedge-laying in the old style. It’s probably just to show off traditional skills; it would be too expensive to treat all the hedges that way. Just before we reached the visitors’ centre, we stopped to paddle in the waters of the river Churnet. The idea was to remove the accumulated mud but it is most unusual for running water to do a proper job; elbow grease is still required for the designated boot cleaner at home. 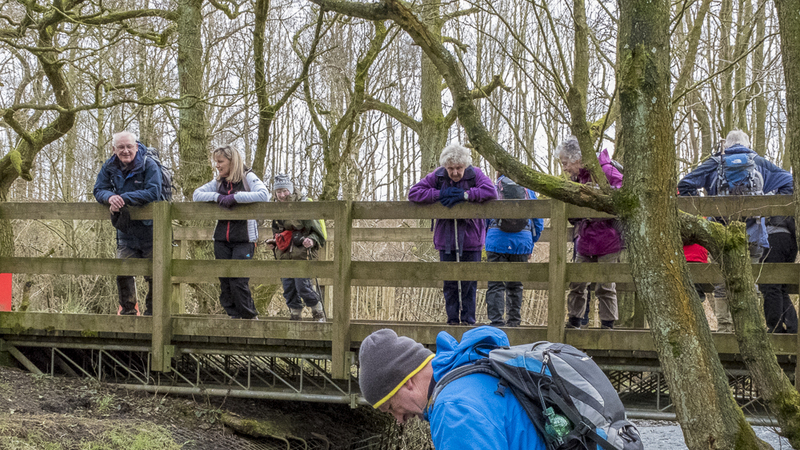 While the hopeful paddlers were about their work, the more playful walkers played Pooh sticks on the nearby bridge. 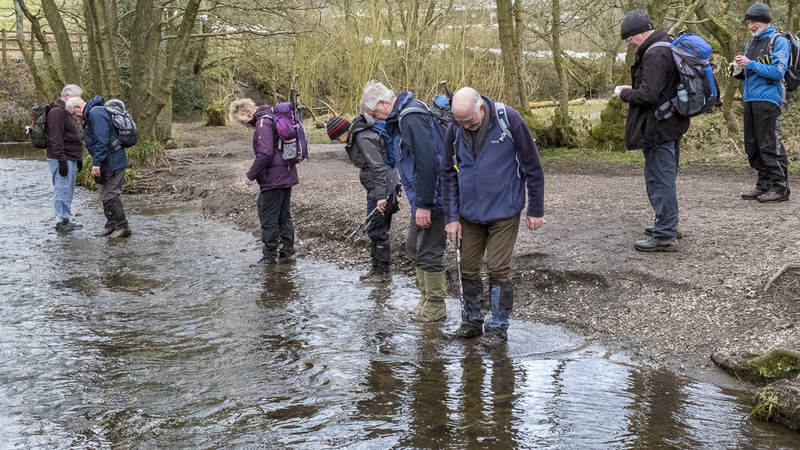 For this pastime to become a televised, and possibly an Olympic event, we need more standardisation of sticks and a better understanding of the hazards that inhibit the water flow. Does anyone want to start a U3A group and develop this theme? Send your application to the usual contact point. Ralph knows where all the bridges are. 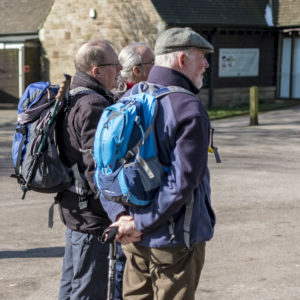 With Ralph absent and unable to exert his moderating influence, the walk set off at a tremendous pace from the visitor centre in the remains of Hednesford camp. The weather was overcast to start with but changed into sunny showers later. 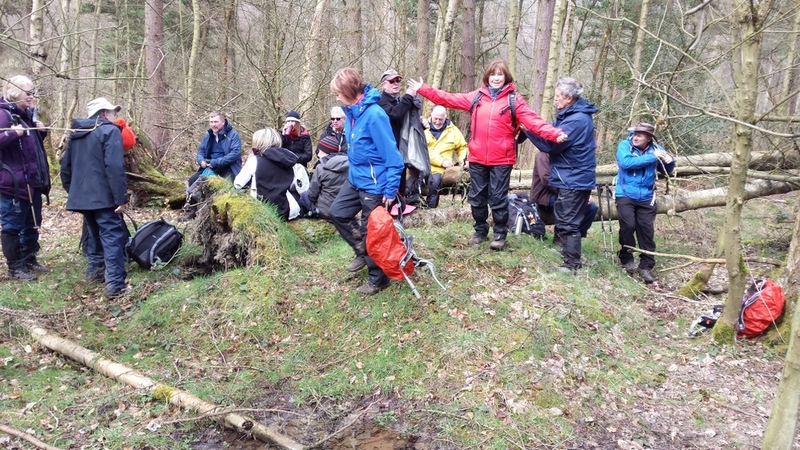 Walkers who declined to wear overtrousers were vindicated as the rain never amounted to much. 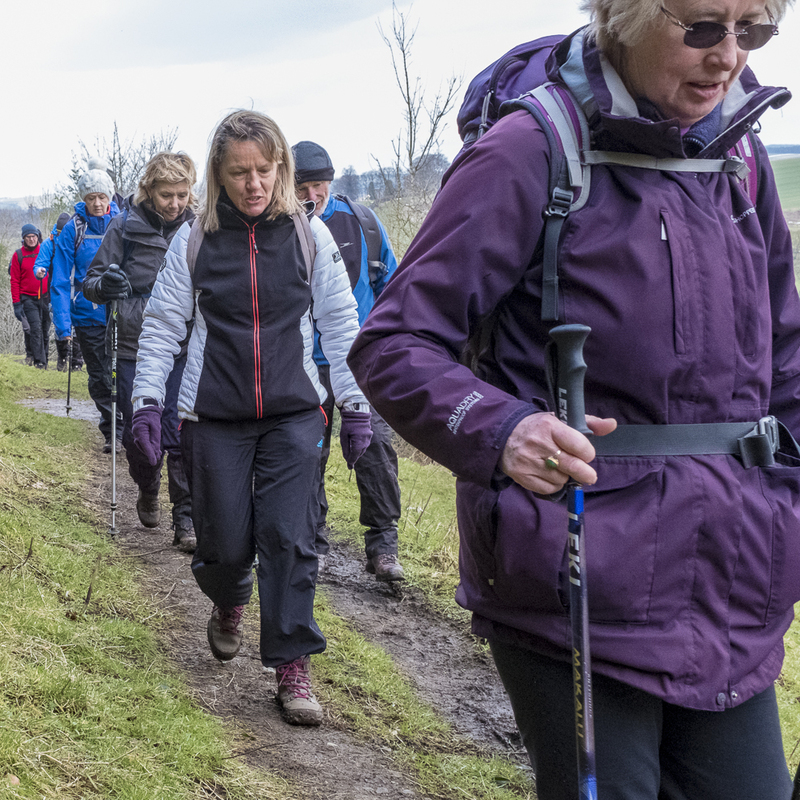 We shared the area with a number of young people, who appeared to be training for the Duke of Edinburgh award, we saw different groups at various stages of the walk. Early on we met a pair of horses walking towards us and both horses and walkers behaved impeccably to avoid spooking the other group. In the daily newspaper that morning I had read of a horse and carriage owner being trampled by his own team, which then pulled the carriage over him. You can’t be too careful. The organizers cleverly arranged the walk so that we could take our coffee break on the picnic benches at the Tanglewood play area. The resident Border collie insisted on us throwing a stick for it to chase until it bored of the game. 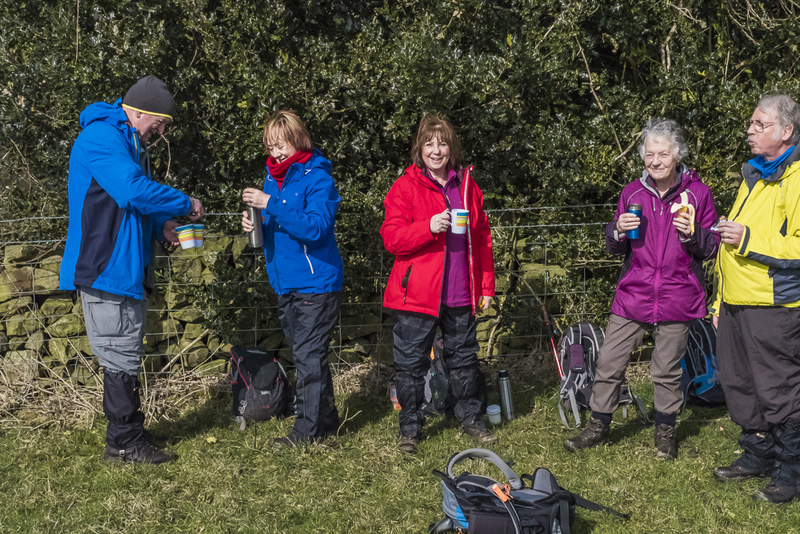 The next stage of the walk lasted for about 200 yards until the ladies spotted the toilets and Stephen sat down for some more coffee. Another hazard we faced and neutralised was a long length of wire stretched across the path. We found it on the ground but imagined it might have been intended to bring down cyclists. People are not all sweetness and light. 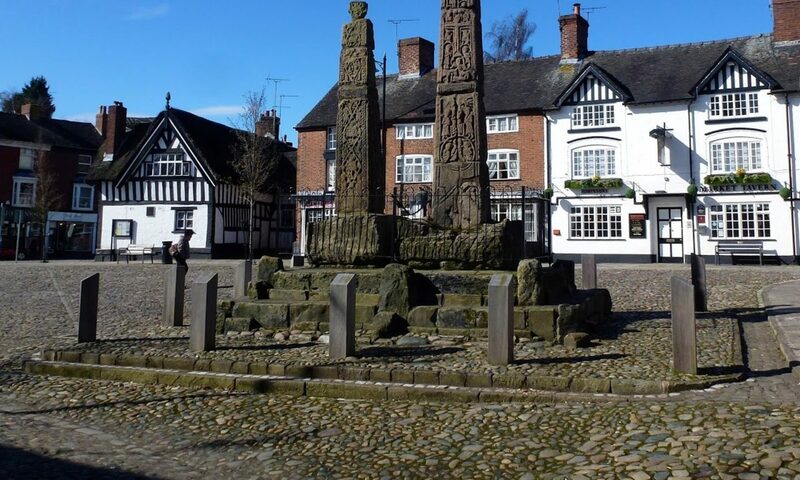 After we left the tree cover we entered the village of Slitting Mill on the edge of Rugeley. This was the site of an early mill for slitting iron plates into rods for nail makers. They were either very proud of the mill to name it after the factory or lacked imagination to find another name. What we didn’t see as we passed through was the fire at Oak Tree Farm, which was finally extinguished earlier this month after burning since September 2016. This sorry tale was caused by an unauthorised pile of waste woodchips being set on fire and getting out of hand. The fire service were unwilling to pour large amounts of water on the fire because the water supply for the surrounding area was pumped out of the ground below and they didn’t want to pollute it. After letting it burn away for 18 months, the firemen decided it was safe to step in and extinguish the blaze that had spread smoky misery over the surrounding area. Back in the woods we came across a house with a variety of animals wandering about. There was a pig, some chickens and a pair of noisy dogs. Distracted by the sight and sounds, Tom nearly launched himself down the hill to join the pig but managed to avoid the fall. The dogs were careful to keep out of striking distance as they barked to see us off and no injuries were incurred. 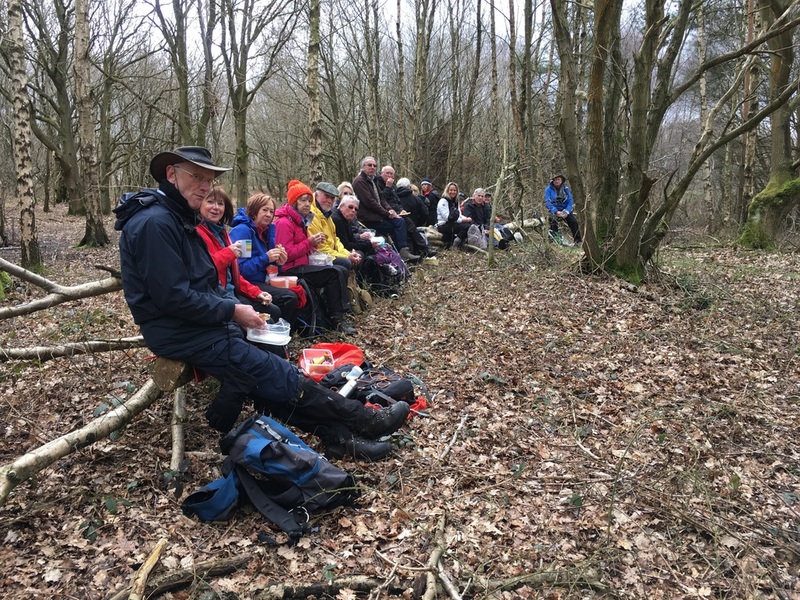 There were no picnic benches at the lunch stop but a fallen silver birch provided a rather bouncy seat for the whole party and it stayed intact while we ate. Is a silver birch the best seat they could find? We passed a well-protected property called Trout Lodge at Horsepasture Pools. It boasted a manicured garden and a very neat lake and we had no idea what went on there. How frustrating! 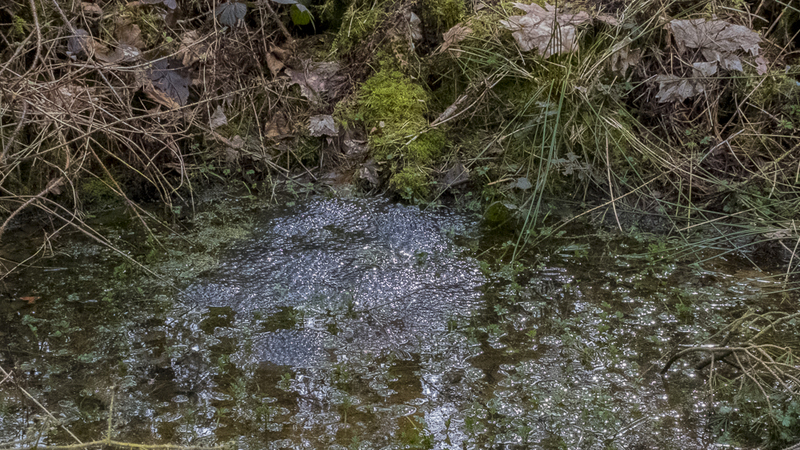 The familiar name of Brereton appeared on a notice describing an old coal-mining area and Stephen took the opportunity to brief some of his Geology students on the presence of iron near coal measures. Truly inspirational! 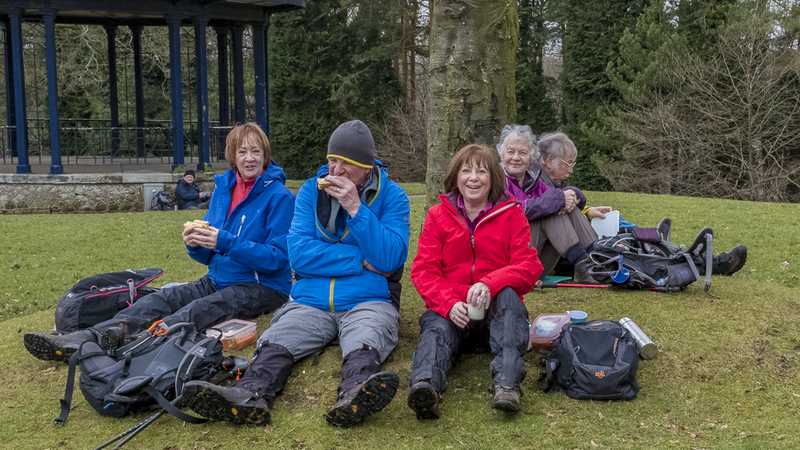 Another refreshment stop allowed walkers with food remaining to finish it off in a woodland glade and pose for the picture below. Who is this prima donna? 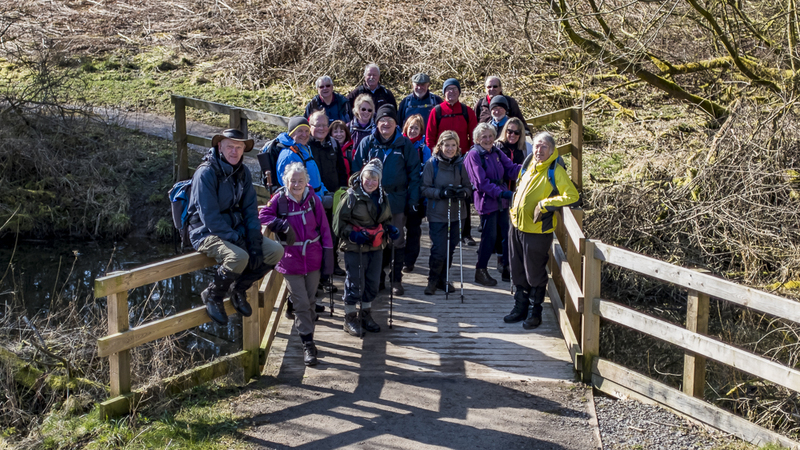 The leaders had dropped hints about the last mile being an uphill drag and we finally crossed the railway footbridge to climb Kitbag Hill. This was named after the ordeal suffered by thousands of recruits who arrived at the railway station to carry their kit to the camp at the top of the hill. This is where Stewart suffered heart failure on the recce and needed CPR from his fellow leaders. He is recovering now but there is no evidence that he tripped over the same wire that felled Graham. Graham quickly bounced up again saying he keeps a cushion of fat to protect him in such circumstances. The recce team had to find a way round another fallen silver birch which blocked the path. The ranger said he would attend to it the next day but, three weeks later, it still lay in our way. The people of Staffordshire seem to like the environment a bit untidy. The sun and the heat generated by the climb ensured that our clothes dried before we reached the cars and set off to take our chances on the M6. This time it allowed a journey unbroken by jams.